Daytime running lights or DRLs are the very important element that claim make driving safer. But on some occasions, having running lights makes viewing of a drive-in mode difficult when you need the air condition on, in this case, you have to turn them off depends on your vehicle type. The text below displays how to disable DRLs of Volvo vehicle models. 3) or you can get PDF user manual in wobd2 webpage. 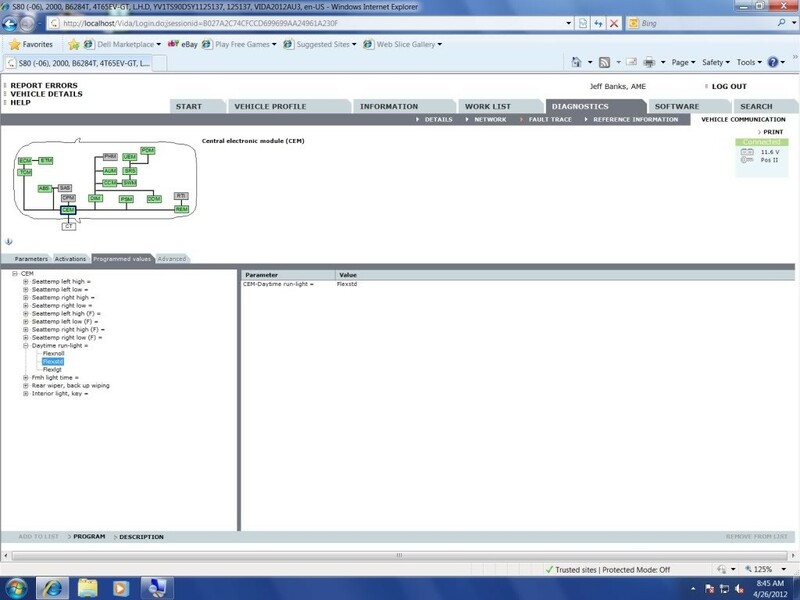 4) Select “DIAGNSOTIC” in the function menu. 5) Select “Information” function option. Daytime running light (DRL box) is a light gray and inactive. You can check the DRL status. 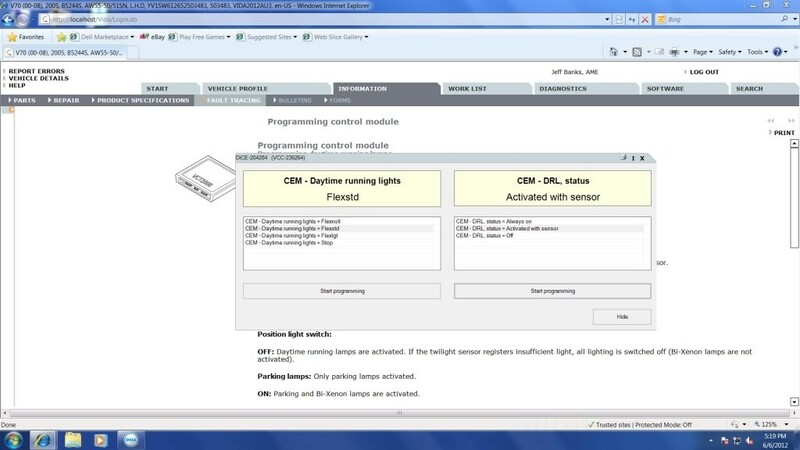 Click “Start programming” to disable daytime running lights. 6) If you need to diagnose other ECU modules, back to the Diagnostic function interface. Otherwise, exit the program.